Are you looking for a new garage door? Have you searched everywhere but still cannot find what you are looking for? Do you have specific requirements for a garage door that is not readily available in the market? Perhaps you are going for a certain style, design, color, and want additional features on your garage door? Go to A1 Garage Door Service and your dilemma will be over. A1 Garage Door Service has a state of the art showroom which displays the best and latest garage door designs in the market. We believe that you have to see the doors for yourselves before you can decide on making a purchase. If you are not sure about how the garage door will go with the design of your home, we have a computer application that will allow you to simulate the look of your house together with our garage doors so that you can see how well they would complement each other. You have the assistance of one of our garage door specialists to give you professional advice and answer all your concerns regarding the best garage door for your home. We give free estimates of cost without any hidden charges so that you can determine your budget. We understand that finances are a major concern in your home improvement project. So we have come up with the best deals in the market. Avail of our current specials on new purchases coupled with the best warranties that we can offer. Truly, you can only avail of the best prices here at A1 Garage Door Service. When we talk about offering the best prices, that also includes getting the best rates for your garage door services. Homeowners in Paola can only expect the best service coming from A1 Garage Door Service. Our services are first class. Being awarded an A+ rating by the Better Business Bureau, homeowners here in Paola can trust that A1 Garage Door Service will deliver excellent service in all garage door concerns that you entrust to us. We have a team of professional garage door service providers who are always ready to respond to your garage door needs. Each of them has passed our stringent background checking and drug testing. 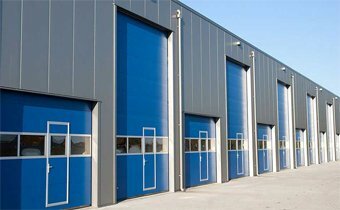 They have also attended specialized training courses to enhance their knowledge and skills about all matters regarding garage doors and customer service. That is why our customers are always treated with first class services from this family owned and managed company. Our customers have spoken. We encourage you to read their personal reviews about their experience with A1 Garage Door Service. You can check us out on Yelp.com and Home Advisor where our customers have given us a five-star rating. This truly warms our heart and we value the trust and respect that the community of Paola has given A1 Garage Door Service.